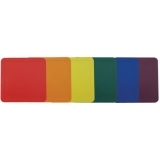 These versatile Champion Sports Poly Base Markers can be used for a variety of drills and games. They are great for setting up training stations in gym class or teaching court positioning without the risk of injury or obstruction. 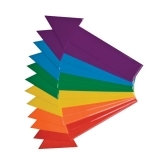 Made of non-skid vinyl that won't tear or rip, this pack of six base markers comes with one each in red, orange, yellow, green, blue and purple. 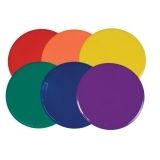 These versatile Champion Sports Round Poly Spot Markers can be used for a variety of drills and games. They are great for setting up training stations in gym class or for teaching court positioning without the risk of injury or obstruction. 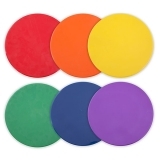 Made of non-skid vinyl that won't tear or rip, this pack of six spot markers comes with one each in red, orange, yellow, green, blue and purple. 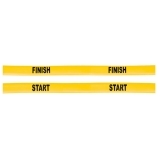 These highly visible, optic yellow Champion Sports Poly Start and Finish Lines for class or group activities are flexible, durable, and perfect for races and training exercises. Made of soft vinyl, the start and finish lines are good for indoor or outdoor use. Made of non-skid vinyl, the Champion Sports Poly Directional Arrows are useful for guiding direction and movement. The arrows can be easily repositioned are highly durable making them ideal for a variety of games and exercises. 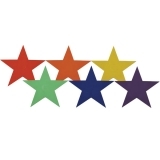 The set of six arrows comes with one each in red, yellow, green, blue and purple.